All companies need business cards – they make a great first impression to future and potential customers. 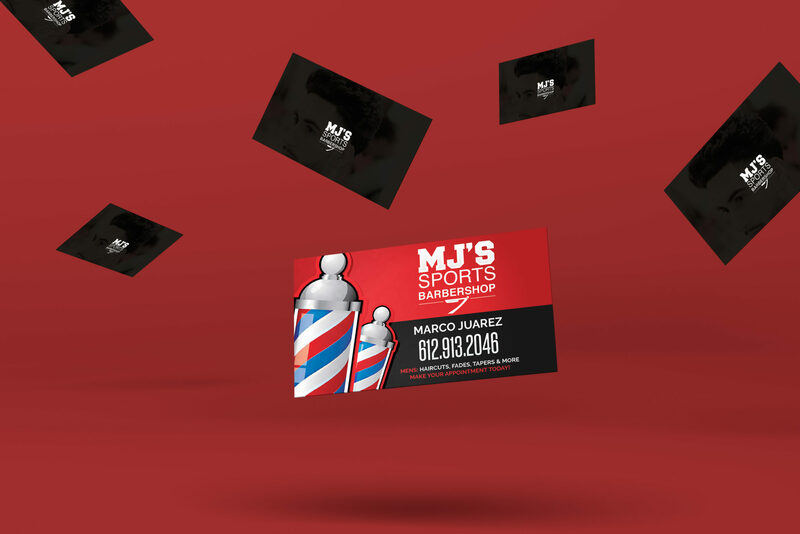 MJ’s Sports Barbershop is no different in that regard – so I came up with a flashy and sleek business card design to help drive more customers to their shop. Looking for a fresh haircut or just a quick line-up? Our experienced professional barbers will be happy to help you. We have experience with all types of men’s hairstyles from traditional to modern and everything in between. 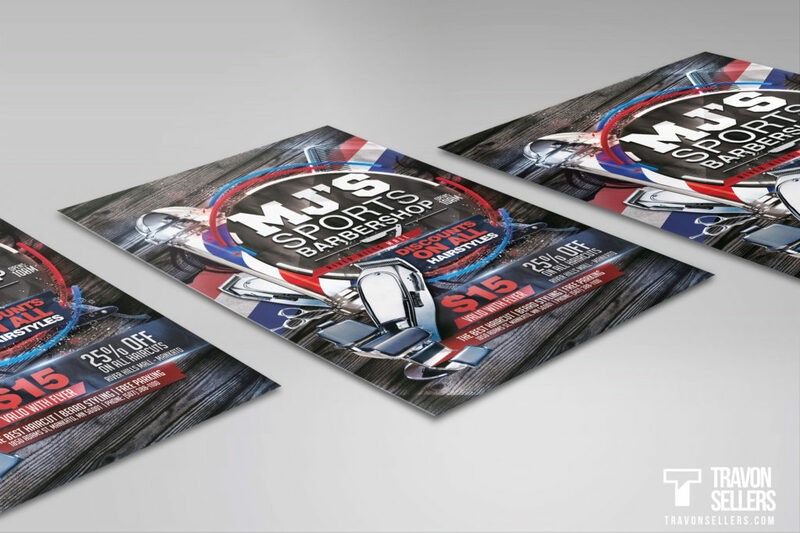 For over the past few years, MJ’s Sports Barbershop has been Mankato’s premier location for men’s haircuts and hair styling. We maintain a great reputation & provide the highest quality of lavish services.